One of the most substantial thrills of snowboarding is conquering new slopes and mountains. On the way to each novel place, you will need a secure way to transport your board. Snowboard bags protect your gear from dings with durable materials. Wheel systems enable transport without excessive arm or shoulder strain from carrying heavy gear. 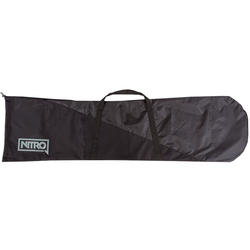 Snowboard bags also have accommodating handles and straps for when you do want to lift or carry your equipment. Made by premiere snowboard brands, premiere snowboard bags are made by DC Shoe Co and Burton Snowboards. Many come in sleek black coloring, but bags are also available in brighter colors, such as red, grey, plaid and fun prints.